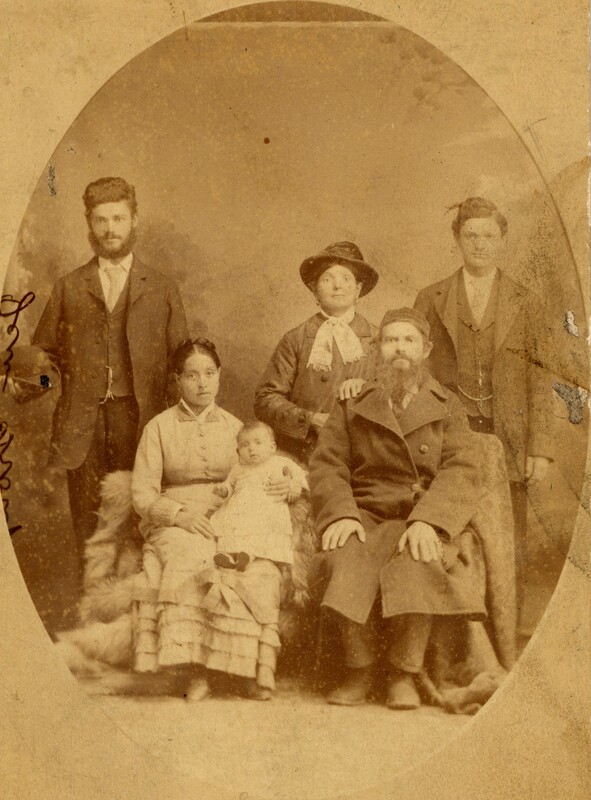 Sepia portrait of Esther Seidelman's (nee Dalkin) family. Sepia family portrait with vignette exposure. Woman and bearded man wearing a kippah seated in front row; woman is holding child on her lap. Two men stand behind with woman wearing hat in between them.